Today Jacob’s physical therapy was a bit more intense. He made macaroni and cheese for O.T. (occupational therapy). He kicked around a soccer ball for a while, which frustrated him because it was difficult to balance on one foot while he kicked with the other. He also got to play basketball and practiced squatting and picking things up. Jacob’s grandma and grandpa came for a visit this afternoon, along with aunts, uncles and cousins. 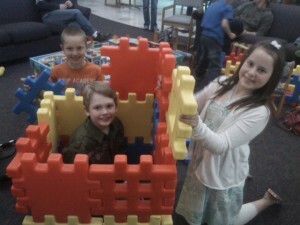 They ate pizza for dinner, were able to visit for a while, and had lots of fun! 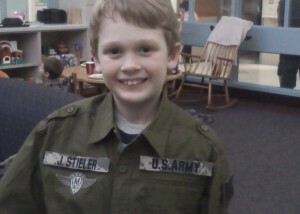 Jacob even got a shirt with his own personalized army patches from his cousin Steve who is currently serving in Iraq! For those of you who live in the lower peninsula, the Triumph employees are hosting a spaghetti benefit dinner on April 21st. It will be held at Tina’s Country House, located at: 50828 N. Avenue, Macomb Twp. (near 23 Mile Rd.) You can contact the hall at: (586)949-2280 More details to follow! Jacob, Great to see that you are doing so well. I know you are getting stronger every day. We are praying for you. Erik says hi and hopefully during the summer you and he can get together:) Erin- you are looking great also!! Looks like your ready now to come over here and hang out with me,, I’ll send a helicopter to come get you. Praying for you bud. 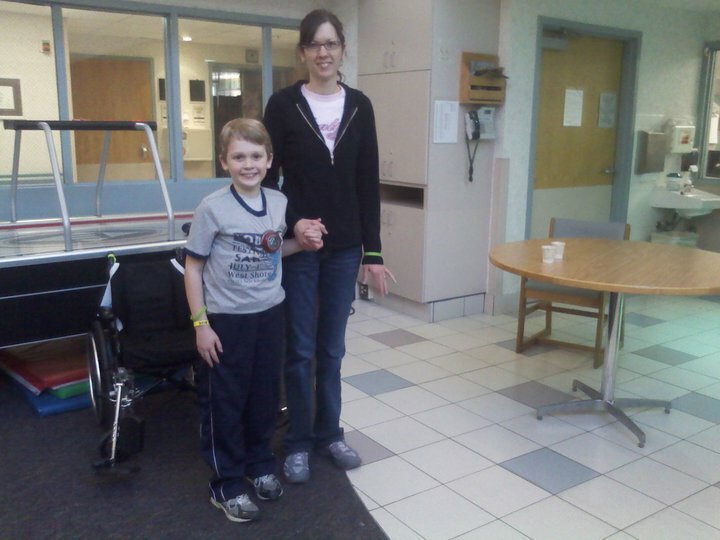 Hello i found jacobs site from kirsten lenzer’s facebook page. Iam happy to see jacob is doing so well. I have an idea of what you are all going threw my 2 yr old daughter had neuroblastoma stage 4 cancer. She passed and has earned her wings 4 yrs ago now. every moment seems a lifetime some days…but to read and see other children not only beating the monster called childhood cancer gives me a ray of hope, and makes me smile!! I also have a nine yr old daughter who reminds me everyday what we fight for and to appciate lifes ups and downs. I pray for jacob to continue to keep getting healthy and whole again.!!! 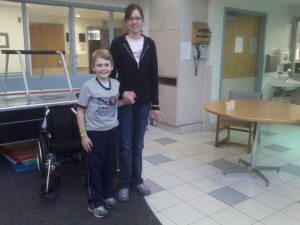 He seems to be a strong little man with lots of love and support from his family and friends!! Hey Jacob:) It is so nice to see that big smile that we were used to at the rink!!!! Hunter has been asking about you allot and I told him I would say “HI” again for him. We keep posted and think about you guys every day:) Continue working hard and getting better. I know you can do it!!! Rehab isn’t always that fun. I have been through it twice w/ two back surgeries:( Don’t get discouraged ,it takes time. Hi,to Mom and Dad and your little Brother. Keep up the good work!!!! !